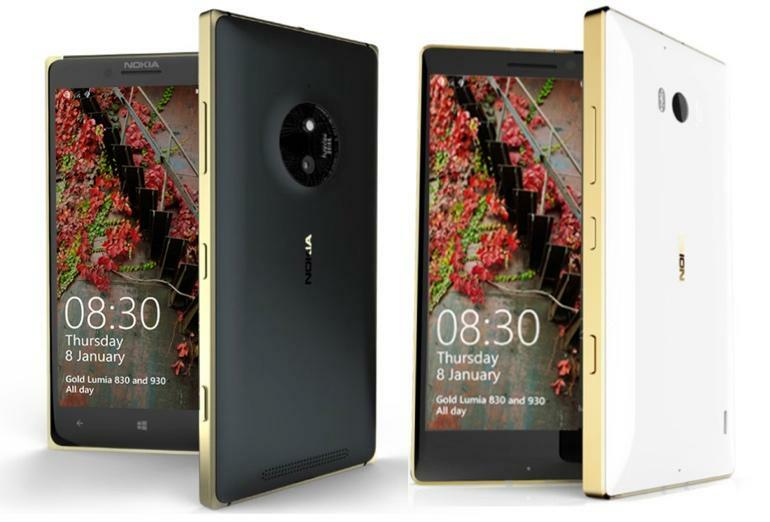 The metallic Nokia Lumia 830 and Lumia 930 which were launched in the markets last year with stunning aluminum frames and stunning camera have now been re launched with anodized gold color aluminum frames at the CES 2015. But what looks disappointing is that apart from the new frames nothing else seems to have changed much with both the Lumia 830 and Lumia 930. The Lumia 830 still holds the same 296ppi 5 inch HD (720×1280 pixels) clear black IPS display. The 1.2GHz quad-core Snapdragon 400 processor, the 1 GB of RAM, the 16 GB internal storage and the 10 mega pixel pure view shooter all remains the same in the golden model as well. The Lumia 930 still boasts the same a 5-inch (1080x1920pixel) display with 441ppi pixel density. It also keeps the same old 2.2 GHz quad-core Qualcomm Snapdragon 800Soc, 2GB of RAM, 32 GB of internal storage and that brilliant 20 megapixel PureView camera. The Lumia 930 will be launched by Microsoft in selected regions around the globe including Europe, the Middle East, Asia Pacific, Africa and China. There seems to be no news about any possible launch of the Lumia 930 in India. However the Indians will receive the golden new Lumia 930. Microsoft has announced officially that The Lumia 930 Gold and the Lumia 830 Gold will be made available in Black and White color variants only.